I am trying to set cornerRadius of UIButton but I dont know how to do it. the corners are not rounded. but I specifically looking for different solution, because I add some arrows to the button and if I set mask to bounds the arrow are masked. 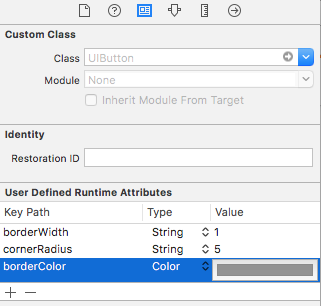 Here is how I would create a button through code and set its background color. You can always play around with code and create the colors that you need for background and border. Hope this would help you out. i Just added this and it worked for me. I was actually able to set corner radius to UIButton with setting an image to that particular UIButton. Before that add QuartzCore Framework and import QuartzCore/CoreAnimation.h in your .h file. hope it will helps you.. 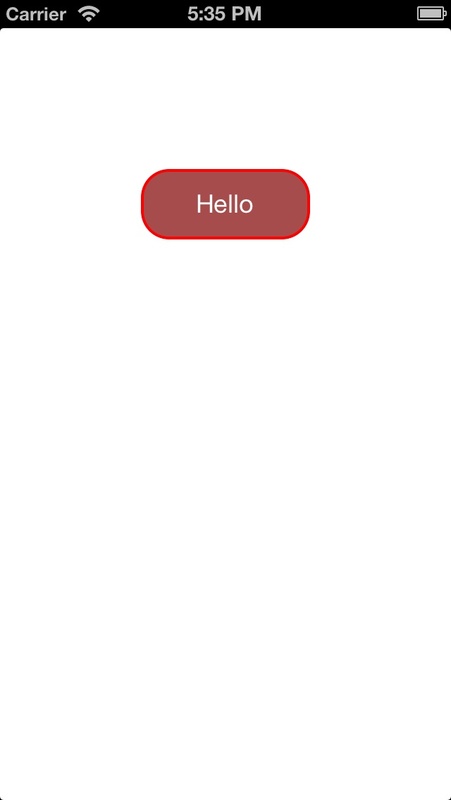 This approach will also allow you to add a shadow to the button unlike using clipsToBounds. How to make a rounded oval button?